Day 526 - Monday begone, Tuesday behere! Greetings, Bloggy Buddies! How be ye this morning? My overnight jobs at work (which I usually check before I blog) have already finished, which is a good sign - let's begin the day with no problems, shall we? Cracker Barrel last night was delicious, lately I've been having their grilled steak salad, which is an 8 oz steak grilled and sliced thin over a salad. YUM. Charlie had spicy grilled catfish. Our server brought out our bread right away too, so we could munch while we waited for our entrees to cook. I have meant to tell a story about the weekend. While exercising at the health club's outdoor pool on Sunday, I noticed that landscapers were busy mulching the trees and shrubs. It's very late in the year to be mulching, but since the health club didn't open till late may, maybe that's why it wasn't already done. You know we're in a severe drought this year (and some of last year). The landscapers were tenderly mulching all the DEAD shrubs too, and there are many of those. Maybe theres a hope they're not completely gone, but they sure look gone to me. Thought I'd pass that along - maybe if they had had some mulch earlier, they wouldn't be in such bad shape? Day 525 - Salsa, Anyone? We have a plethora of tomatoes from the garden at the moment. I'll bet the tomatoes in MAINE haven't even started ripening yet. I made homemade salsa yesterday for the very first time, and it is unbelievably good. 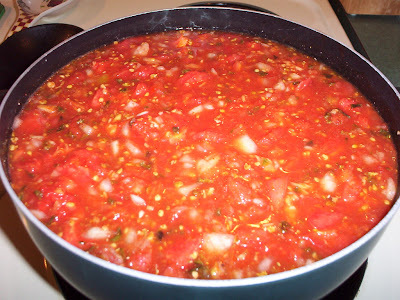 Anyway, I made a gallon or so of salsa - completely filling my stew pot below. 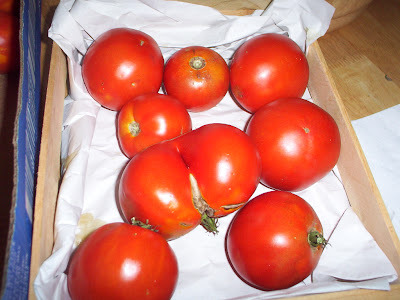 Ingredients: Fresh garden tomatoes, vidalia onions, and one package of 'Mrs. Wages' salsa seasoning. It's a bit of work to make homemade salsa - more than I thought it would be. When you make homemade spaghetti sauce or stewed tomatoes, there's no real chopping involved. It's also a pain to remove the skins from the tomatoes - you have to steep them for a few minutes in hot water to slip the skins off. However, the result is AWESOME and I might make another batch. It's that good. Greetings, Blogregation! Just saying a quick hello before I make some breakfast and go to swim. I just finished my 'Runelords book 5', and it was very good. I do enjoy that series by David Farland. What will I read next?? I think I have some books around the house that I never got to, I need to look around. It's cloudy and 70 degrees here at 7:30 in the morning. Have fun, whatever you do! Day 523 - Saturday, and Rat Radio is the Rage! Greetings, Bloggy Dearests! Weekend, lovely weekend! It's Saturday, and I'm drinking some iced coffee instead of hot coffee while I blog. 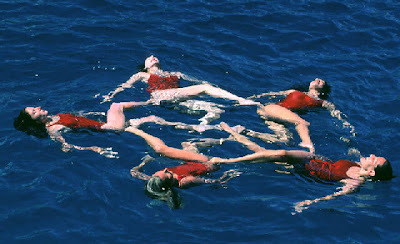 I'll be leaving soon for water aerobics, which I desperately need because I ate pizza last night for supper. I have a hippie-looking tie-dyed swimsuit on. I had an idea for a national radio talk show yesterday. If anyone capitalizes on my idea, I want a big cut of the profit. I was driving home and watching a red CR-V driving in the breakdown lane - like it was OK. Anyway, I thought of a radio talk show format named 'Rat Radio', where anyone would call up and just TELL SOMEONE all the crazy stuff you see or hear or do. That happens to me so often - I just would like to TELL on some of these nut cases out there. Even better, there could be an accompanying website where you post videos from your camera phone of the stuff you see. You could have Rat Road Rage Day, Rat out your boss day, Rat on your spouse, Rat on yourself, etc. What do you think? Is it a hit? Does anyone want to buy my idea? I'll write a business plan if you're buying. Day 522 - The week is done, and so is my book! It's friday and I've finished my book. I agree that it's a sad feeling to finish a book that you want to read MORE of. There are many books like that. Last night I got home and the garage door wouldn't open - turned out we were having a power failure. I had to leave my car outside, go to the front door (that we honestly never use), and open two locks (that we honestly never use) to get in. Thank goodness the locks didn't give me any trouble! Heather sent me a present once, and we thought it was lost - all because it was left at the front door that we never use. Then, last night after I had reset the clocks and our wake-up alarms, we had another power failure. Here we go again. Sheesh. I have 50 pages to go, and I'll read a few of those this morning. Message to Lyn - no spoilers on the blog, but I'll send you an email with a recap if you'd like. Apologies for 'blog brevity' - but I've gotta go! Day 520 - Two thirds of the way thru! Yes, it's gonna be another short blog so I can go read more of Harry Potter. It was 8:30pm by the time dinner and checking email settled down last night, so I only read for a little while. T-minus 4 weeks (approximately) before my vacation. Thank heavens. We had a big thunderstorm overnight and lost power for about 2.5 hours. We need the rain, even if it all pours down in a torrent, then stops. Day 519 - Step aside, Blog! Hello, have a nice day, and if I don't blog this morning I can spend 20 minutes reading Harry Potter instead of messing around with Blogger. Which would YOU choose? I even have my clothes laid out for work already. Have a nice Tuesday and expect more short blogs till I finish this book! I don't have as much time reading in the evening as I'd like to, because it puts me to sleep! Old, old, old. Greetings, Bloggy Monday Monopolizers! (she said with a cute little feminine snarl). I was freezing cold all evening yesterday - so cold Charlie could feel it on my face and nose. Then, starting around 10pm I was burning hot all night long, had to run a fan, and kept throwing off the sheet. By the way - I guess that means my average temperature is normal. Sheesh. Welcome to my pre-menopausal world. I am on page 335 of my Harry Potter book - sorry - no spoilers. Some interesting stuff so far. I really wanted to read the whole thing this weekend, but didn't have enough time to devote to it, I would have had to give up some swimmage and shoppage time. Can't do that! I debated with myself this morning whether or not to bring it to work with me. I really don't want to be distracted, and if I bring it in I'll want to read a few pages here and there, and here and there, and now and then, and here and there... you get the picture. Have a nice Monday (if that is possible), and TTFN! Greetings, Blogregation! One more day of Weekend before the dreaded M-word arrives. I'm leaving soon to go swim, and Charlie is on his way to an archery shoot. When we were in the store later that day, he remarked 'My legs hurt', so the result of the class was a little soreness. Good job, Charlie! We went to see 'Transformers' yesterday. It was entertaining, but the plot was thin, there were too many battle scenes, and the Transformers 'transformed' faster than I wanted them to. I wanted to see better how they got from being a car or a plane to a Robot. My new car got it's first car wash yesterday. Shame on me for waiting so long. I bought a coupon book of car washes before I went 'through the tunnel' at the car wash. The attendant who took the order forgot to actually give me my coupon book, and when I tried to explain that to the other attendents, nobody spoke English and they sent someone to detail my tires instead of solving my problem. Eventually they sent someone out to my car that I could explain the issue to, and she went to get the coupon book. Alls well that ends well. I am on page 125 of my new Harry Potter book, which was waiting for me when I got home yesterday. No, no spoilers on this blog. Charlie and I have just finished breakfast, and I'm going to change over the wash and we're leaving for the health club. I've got water aerobics at 8, and Charlie can do whatever he wants. We're thinking about going to see 'Transformers' after that, so we'll have a nice day. MAYBE I'll blog more later, but no promises! TTFN! Day 515 - Hooray! Friday! It is truly Friday, and the week has flown by. They cancelled our outdoor class exercise yesterday due to the weather, and it was exactly 95 degrees. This morning we're getting some much-needed showers; I can't remember the last time it rained, it's been so long. One more comment about training class yesterday. I have a whole booklet to fill out as 'homework' before the next class in August, and we had to use a mock exercise to chart our use of problem solving and fill out a 25 question quiz. The booklet is all about honing your problem solving skills. Hopefully it will be useful! Don't forget, it's almost time for the last Harry Potter book to be released, and promise me not to SKIP TO THE END FIRST! Day 514 - Thursday is here already! It is rather uncomfortable here - we've had temps in the mid-90's and it is just plain HOT and HUMID. We are supposed to get a break from the heat starting tomorrow. 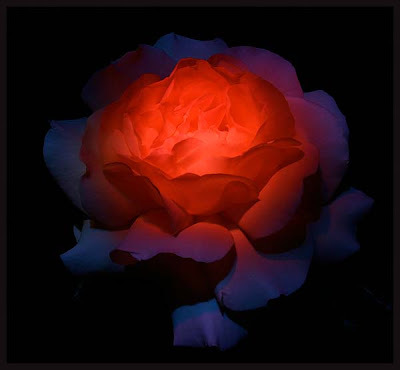 This photo is named 'inferno', and that is why I chose it for today's blog. I need to make this short - another busy day with half a day of work and half a day of training class. I had the same schedule yesterday. I like training class - I am taking a leadership training series of sessions. We're supposed to do an OUTDOOR exercise this afternoon (don't know what it is) for half an hour. Half an hour in 95 degrees with high humidity is NOT going to be pleasant. Inferno, anyone? TTFN and have a great Thursday! Friday is coming up TOMORROW! Day 513 - Road Hog or Wild Hog? The drivers are crazy, the truckers are dangerous, and guess what Charlie saw on the side of the road this week? A wild hog road kill. Side note - you would love to hear Charlie say 'hog', it sounds like it has about 8 letters in it. 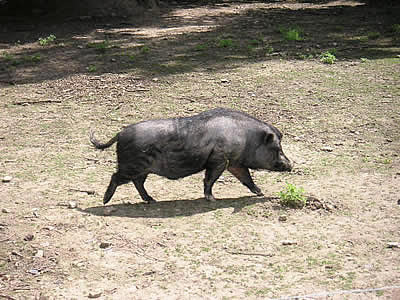 We have heard stories about the feral hog population growing in the area, but Charlie had to tell me three times before I understood what he was saying. Charlie told this story to TY and SY at Cracker Barrel on Monday. SY quipped 'Aren't you glad you have friends who can get excited hearing your story about road kill?' YES WE ARE! Anyway - my remark was 'too bad all that pork went to waste'. Food minded yet again. Have a nice Wednesday and TTFN! Be careful on those roads, you never know what might be out there! Day 512 - A Birthday Cake for a Princess! As you recall, I went to a birthday party this past Saturday for a one-year-old. This is a photo of the birthday cake - bar none, the most beautiful and elaborate birthday cake I have ever seen! My friend DW did the decorating of the cake herself, but a bakery made the cake. DW said she saved $40 on the cake by decorating it herself - I was too polite to ask what the cake cost! It was fabulous, and of course I tried a piece. It tasted like wedding cake, by the way. White cake with white icing. Accompanying the cake were strawberry/white chocolate covered strawberries, ice cream, fruit, and cheese and crackers. YUM-O! The baby got a huge, round piece of the cake to 'mangle' all by herself, and the photos are awesome. She got a bath after getting her fill of cake. I think I gained a pound this week, I hope it's only a pound. I made a salad this morning for my lunch. Guilt guilt guilt. Monday mornings in the summer are bad, because you wish you were on vacation. Monday mornings in the winter are bad, because it's so dark you don't know where you are. Monday mornings in the spring and fall are bad, because it's MONDAY. I forgot to tell you that on Friday, one of our business owners/customers had chocolate shakes with whipped cream delivered to us for getting a report out early to his business unit. (Actually mine was chocolate and others were banana, he did ask for our favorite flavors first). He even sent an extra one for the lady in my group who is expecting, so she wouldn't get a craving seeing us eating them. Very nice, thoughtful person. Now THAT is some kind of nice reward! 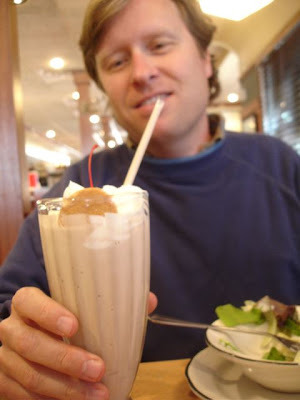 I did not think one bit of the hundreds of calories and fat I was eating - I had a stressful week last week and that shake was just the ticket! Charlie and I are going to the 9:30am showing of the new Harry Potter Movie in an IMAX theatre at Opry Mills. I am very excited about it, and want to see it more than once. I should have re-read the book, but I really don't think I need to. Buddy Joe is meeting us there to see it too. I had a dream the night before last that I gave John Cusack a kiss on his big TOE. What the heck was THAT all about? I don't have time to go research the 'meaning of dreams' website about 'toe' dreams, but I'm wondering! Harry Potter and the Order of the Phoenix was FANTASTIC!! AWESOME! WONDERFUL! I highly recommend seeing it in the IMAX theatre, because the last 20 mins are 3-D, and the whole 'IMAX experience' made my first viewing of this movie EXTRA-SPECIAL. No, I am not going to give any spoilers - go see the movie, and if you have an IMAX near you that is showing it, please go see it there. Others around us were also remarking it was worth the extra money to see it in the IMAX theatre. After the movie, Charlie, Joe and I went to Chilis for lunch/dinner. We had chips, salsa and queso, and Mango Margaritas. I had a chicken quesadilla explosion salad, which is a grilled chicken salad with some mexican additions, and some little quesadilla wedges to accompany it. Charlie had a 'guiltless' chicken platter (then asked for butter for his corn). Joe had a guiltless grilled chicken sandwich. I am stewing down a batch of tomatoes from the garden, that is work, I'll tell you! I'm also cooking green beans and doing laundry. Day 509 - Weekend, Glorious Weekend! It's Saturday, and I have a busy day ahead. A birthday party to go to (for a one year old) this afternoon. I still have to wrap my present and get out a card and such, so this is going to be a click and a promise. Have a great Saturday, whatever you do, and enjoy that weekend! TTFN! It's Friday, and Friday the 13th! The last Friday the 13th was in April, when I got stranded in New England with bad storms and closed airports. My vast motorcycle experiences include a couple of rides, and a very bad burn. My very first motorcycle ride was down Hope Street in Providence, RI. 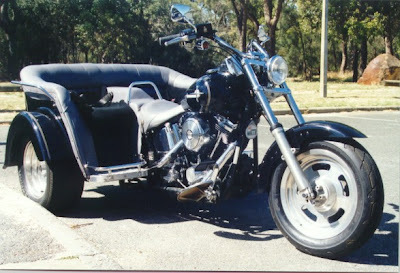 See photo - I rode on the back of a trike owned by none other than Rocco DiGiovanni. I'll never forget that name or the person, he had long handlebar mustaches and was a total wild man. I was just a teenager. My motorcycle muffler burn happened one summer in Maine, when I was at the family farm. Because it was summer, I was wearing rolled up or cutoff jeans. I went for a ride on my brother's friend Jim's motorcycle, (everyone remembers Jim, don't they?) My brother and Jim were in high school at the time if memory serves. Anyway, a spot on my right inner calf hit the muffler pipe at some point and made a round, red, burnt circle that hasn't ever been 'normal' since. First, let me say that I surely am happy it's Thursday! Hooray! One more day till Friday. Just another 6 weeks or so till my vacation, by the way - so start preparing NOW for some days with NO BLOG when I am not near a computer. Let's talk about a personal, sensitive subject.... 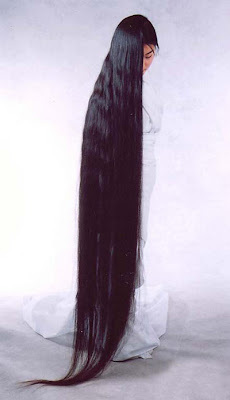 HAIR CONDITIONER. I ought to own stock in hair product companies. I try so many kinds of conditioner that the kinds I don't like accumulate in the guest bath or in the linen closet. What? Throw something away??? Lets get real... I read that you should use the conditioners you don't like instead of soap when you shave your legs. That's a better idea. Right now I am trying all the 'straight hair' brands. My favorites at the moment are Pantene Smooth and Sleek, and Sunsilk Straighten-up. So much for the semi-commercial this morning... Have fun with your lather-rinse-repeat schedule! Day 506 - The latest Harry Potter movie opens today! Greetings, Wizards and Witches! All aboard the Hogwarts Express! 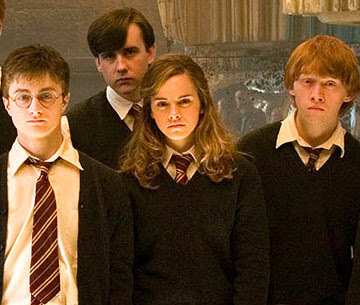 HARRY POTTER AND THE ORDER OF THE PHOENIX opens today, and I am really looking forward to it. I'll probably go this weekend sometime. Do you ever go to the movies during the week? I don't unless I'm on vacation. I also pre-ordered the last book in the Harry Potter series which comes out later this month. That one will be a nail-biter. I have a funny story from water aerobics class yesterday. The Tuesday afternoon instructor is a short, rather stocky gal, very fit of course. I was the only person in class yesterday, so she and I did all the exercises together. We did sprints and jumps and underwater weights and kickboard and various 'motion' exercises with arms and legs. She mentioned that her class concentrates on cardio, which explains why we are in constant motion for an hour! She took a pool noodle and wrapped it around her waist with the ends pointing backward. I had to hold the ends like reins and try to prevent her from moving forward, like a tug of war. 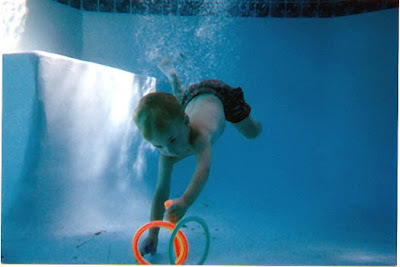 The first time we began, I braced my feet on the bottom of the pool and held on. She made no progress at all. She looked back at me over her shoulder in surprise and remarked 'YOU are STRONG!' (Of course, I probably weigh a lot more than she does, which helps). But she had to double her efforts and work hard from that point on, so SHE got a good workout too on that exercise. Tee hee. TTFN folks! Have a great Wednesday! Day 505 - Happy Anniversary to me! One year and counting! Today is my first anniversary at my new job. Time flies, eh? Just a year ago, I was coming off my 4-month-long, deliciously decadent layoff period, and have been back at it ever since. Hey - it's 6am already, and I've already checked the overnight jobs at work (one is still running). Monday madness: Yesterday I walked into work; a server we depend on was down, some jobs didn't run on Sunday, I had multiple meetings, I'm taking over tasks for someone who is leaving and people are asking ME for the status on them, and a million other things. I am going to have to learn how to pace what gets attention and what doesn't - because there aren't enough hours in the day to get things done, especially on a Monday! Gotta go, gang! Have a nice Twofer Tuesday and TTFN! 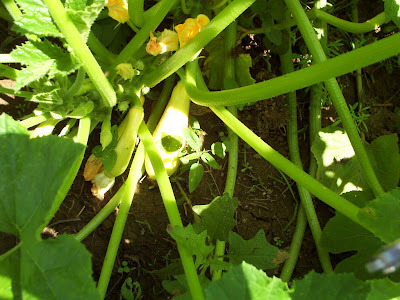 Today's photo is of one of our summer squash plants. The yellow squash has been super-prolific this year, the zucchini hasn't been as 'frisky'. I am bringing a whole box of squash and cucumbers to work today. Charlie and I eat squash, tomatoes and cukes almost every day, but of course there are WAY too many for two people to consume. Charlie and I had a nice swim at the health club yesterday - we had the entire outdoor pool area to ourselves. Now tell me, is that worth $59 a month? YES, indeedy. We stopped at Wal-mart (squall-mart) in Lewisburg, TN on the way home. They had watermelons for $3.50 apiece. That is very inexpensive for a watermelon. I bought a YELLOW seedless watermelon to try, as soon as we finish the red watermelon I've got in the fridge right now! Lyn - Lobster pie sounds too good to be true - I haven't stopped thinking about it! TTFN! It's Sunday and it's supposed to be mid-90's today. Add the humidity, and the 'feels like' temp will be close to 100. As seen on a church sign down the road - 'Life is fragile, handle with prayer'. Cute! Charlie and I have already had coffee and breakfast - we're BOTH going to the health club to swim this morning, then going 'exploring' this afternoon. Water aerobics yesterday had a full class - the lawyer and his wife, the chiropractor, the 80-year old lady, two other women, plus myself and the instructor. The instructor yesterday was a sub for the regular Saturday lady. She was a tiny, skinny, older woman - and totally tough as nails. She worked us hard, and I was sore yesterday! I can only imagine how the others in the class who are brand new to water exercise feel this morning! Day 502 - Ahhhh, Saturday! Hey - it's 7-7-7 today! That MUST be a lucky number! It's also the date that one of my 'old' health club memberships expire - my rec center membership. No loss there, I don't miss it one teensy bit. I am going to hit the road in about an hour to go to 8am water aerobics. I am in the mood for oatmeal for breakfast this morning, Sturms all natural cranberry oatmeal, actually. Reminder to self - I need gas too. Have you ever read the book about the origin of the various blood types and where they came from, and diet recommendations based on your blood type? I believe it's called 'Eat right for your type'. I am a B-, by the way. Anyway - I was reading sections of that book, and oatmeal is recommended but wheat is not. I eat a lot of wheat though - oops. I'm also supposed to avoid shellfish, chicken, corn and tomatoes. Not! I take all that 'advice' with a grain of salt anyway - you just have to figure out what is right for you on your own - because nobody is exactly the same and nobody eats exactly the same things either! Have a great Saturday, whatever you are doing, and enjoy the weekend! TTFN! Day 501 - It's Friday Already! Hooray! It's Friday! 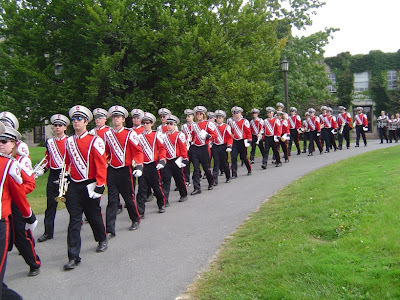 Go ahead and March in a circle, with or without band members. If you only had Wednesday off, you're happy it's Friday. If you had vacation this week, you're probably sad that Friday is here. I've got work today, then swimming at 'the club', then back to the Irish pub tonight. I guess I can stand the calories, and it's pretty darn convenient that the pub is a stone's throw from the health club. The other team lead in my group has put in his notice (was it something I said? ), so that means more work for me of course. It also means a highly caloric farewell lunch. Speaking of food, the folks at work are enjoying our surplus of squash and cucumbers. I'm glad. I have my one year anniversary at my new job this coming tuesday. What do you think about that, bloggy fans? Time flies when you're working! Have a great Friday and a wonderful weekend! TTFN! Day 500 - Did you read that? FIVE HUNDRED! It's DAY FIVE HUNDRED ON THE BLOG. That's a pretty big number, folks. 500 days later, I'll bet my oven needs cleaning again. 500 days later, I'll bet I can start telling the same stories over again and nobody will notice. 500 days later, some of the things I said I wanted to do haven't been done yet - like close my credit union account where I used to work. Oops. If Barry Bonds can hit 500, so can I! It feels like a Monday today, but since it's Thursday, I'm trying to have a good attitude about it. I'm planning to go swim after work, and that is a nice thing. 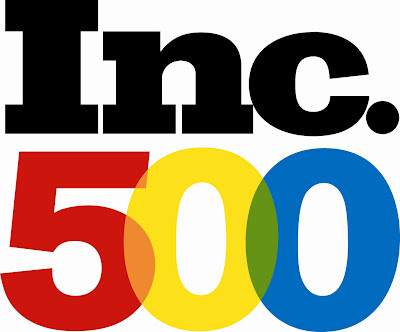 500 opportunites for good fortune to everyone reading the blog today, and have a nice day! Day 499 - Independence Day! It's July the 4th and most people will have today off. Charlie and I are planning to take a drive to Amish country this morning to see if any of their crops made it, and buy some corn on the cob and some homemade bread. We also plan to go see the latest 'Die Hard' movie this afternoon. Have a wonderful holiday, whatever your plans may be! 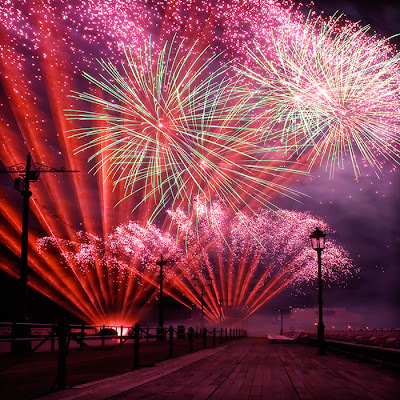 Day 498 - Fireworks Eve! Will you get out early this afternoon, and do you have tomorrow off? Today is 4th of July Eve - and local communities are asking people NOT to shoot off fireworks due to the extreme drought conditions. Nothing like a bunch of fires to fight on the 4th. 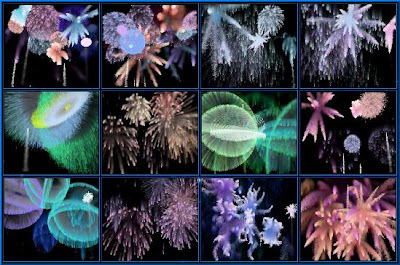 This lovely collage of fireworks images look a little like coral (or sea life) to me - whaddya think? Beeeeeee-youtiful. There is a small mountain of green and yellow beans on the dining room table waiting for my attention, some squash, cukes and three tomatoes! Good job gardening, Charlie! We had one tomato and some cucumber last night with supper - I like to make tomato and cucumber salad with Italian dressing. It's already after 6 - so TTFN! Have a great day and a wonderful holiday tomorrow! Raise your hand if you are thankful for ANY day off during the week. I am! I really don't like it when the 4th falls on a Wednesday. Right smack in the middle of the week doesn't give you much of a chance to take a long weekend or anything. Maybe next year. 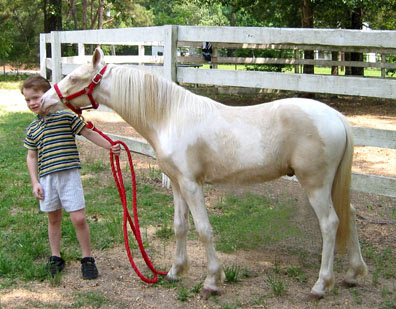 Today's photo is of a horse named 'popcorn'. Great name! The twin white colts I've been seeing down the road are frisky and healthy, and just the cutest things. They aren't a bright white color, they're more of an eggshell or cream color, so I have given them names. What are the perfect names? Why, little Foame' and Latte', of course! Ha! I was the only one in the entire pool area yesterday - I had the indoors and outdoors to myself. I even went and got a noodle from the 'float' area and floated around for a while. Decadent. Charlie and I met his daughter yesterday afternoon and we went out for lunch at a 'Family bar and grill' type place named 'Toots'. It had an interesting mixture of college kids, bikers, and families having lunch. I had a dozen steamed oysters and a salad. Deeeelicious! Charlie had to help me open them, the shells were pretty stubborn and could have been steamed just a little longer to open more. I prefer my Oysters Rockefeller that come to the table all ready to eat without any work, but these were really good and really fresh. Charlie had a french dip sandwich with loaded steamed new potatoes - I tried some of those, they were outstanding. Gotta get ready for work, folks! TTFN! I'm going out the door to swim again, so you're just going to have to wait for 'da blog'. Story later about Charlie's visit to Lowes Home Improvement store. Recently Charlie went to Lowes to buy some wire. Okay, no big deal, eh? 'Wire' is stored on gigantic spools that are on a huge, revolving, motorized rack. A Lowe's associate brings the spool of wire into position and measures off the amount of wire needed, with a little extra for good measure - kind of the 'bakers dozen' approach. The associate who assisted Charlie was a very short man, around 5ft tall. Charlie asked for 4 feet of wire. Charlie said the man used his own BODY as the measuring stick for the wire length! He stood on one end, and pulled the wire up along HIMSELF, so of course Charlie ended up with his 4 feet of wire and a little extra for good measure. Charlie said he might use his LEG as a measuring stick, but that one was a new one on him.